A feature about data networking wires and related minutia? I can almost feel fingers flipping the page. But wait! 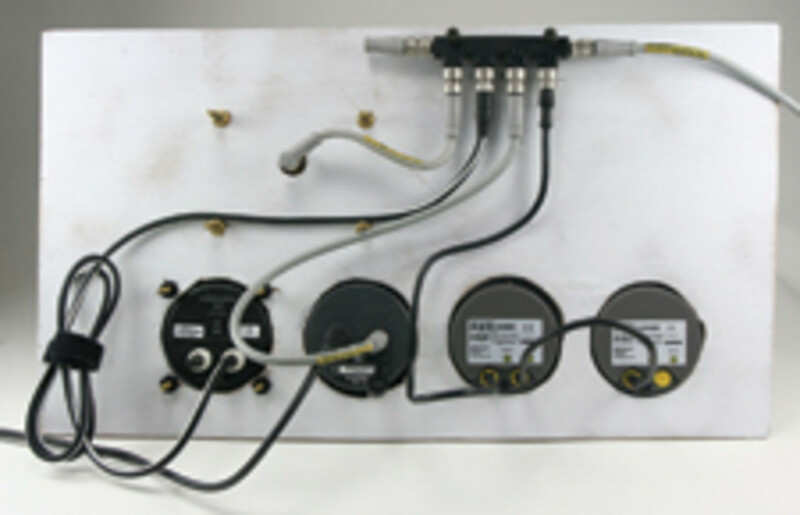 If you&apos;re looking at new boats or are about to upgrade your electronics, you&apos;ll likely get more satisfying results if you shop with some knowledge of the National Marine Electronics Association&apos;s (NMEA) 2000 nitty gritty—even if you hope to never handle any of those cables pictured. 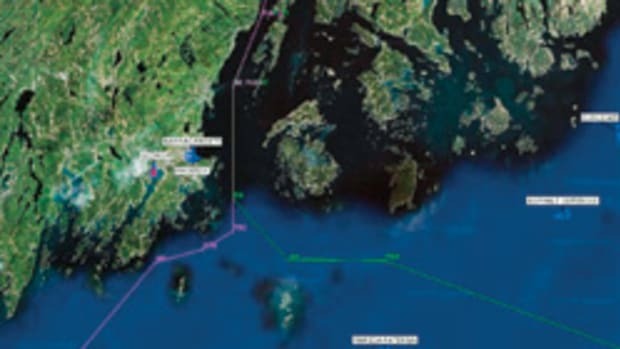 That&apos;s because a central promise of the NMEA&apos;s 2000 (also called N2K) standard is significantly more reliable navigation and system monitoring, hence fewer wiring repairs, plus rendering future gear upgrades—even of the new-brand variety—plug-and-play simple. And, frankly, another reason an understanding of 2000 particulars is important is that many installers and salespeople who should be able to guide you are just catching up with the details themselves. Since early in this decade (the designation 2000 was overly optimistic from the get-go), NMEA and pundits like me have been pushing N2K as a vastly superior way to share short but critical data messages like position, depth, rpm, tank levels, etc. But many of the very manufacturers who together created 2000 seemed to get cold feet or just focus on what they could call their own. 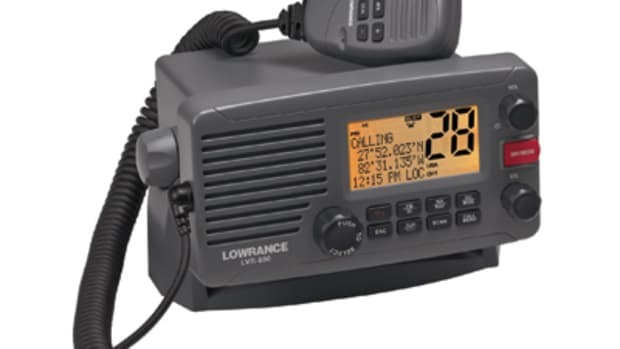 While big brands like Simrad and Lowrance made good use of the standard within their own lines, and firms like Airmar and Maretron came up with some powerful and potentially universal sensors, confusion and apathy reigned amongst consumers and even installers. Until now extensive 2000 networks were exotic. NMEA 2000 cables and T-connections from (left to right) Lowrance, Garmin, Airmar, Maretron, Raymarine, and Simrad. But, wow, has that suddenly changed. As of this year nearly every major electronics manufacturer supports N2K, several with great enthusiasm. We have no fewer than four new 2000 instrument and sensor systems and three new all-N2K autopilot series. At presstime the two busiest custom electronics installers in my area are doing their first big N2K systems, and they&apos;re confident that others will follow in rapid succession. Likewise, my lab&apos;s test network has been wicked busy, and more sample gear is on its way. I&apos;ve sometimes lamented about N2K&apos;s tipping point—how a standard network language struggles for value until it&apos;s widely spoken. Well, it tipped! And while it may just involve the humble numbers in our elaborate systems, it&apos;s a whole new world in there. This Actisense breakout box - able to connect six drop cables, plus power, to a backbone - is one of many new N2K installation accessories. In fact, those two installers and I have been holding geek coffee klatches around our respective test benches because in terms of N2K details, we&apos;re all in manual-pondering, experimenting, and comparing-notes modes. What, for instance, is up with all the cable choices? 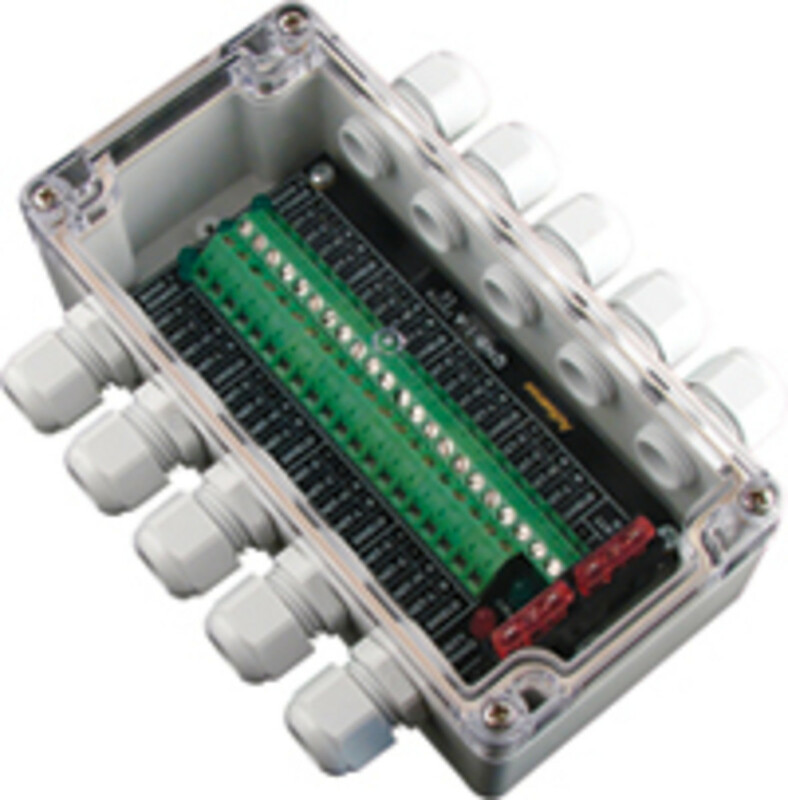 A major N2K innovation over the NMEA 0183 protocol (that it&apos;s rapidly replacing) is a strict connector-and-wire specification that&apos;s not only highly resistant to water, abuse, and electromagnetic interference (EMI), but also carries power to smaller devices. 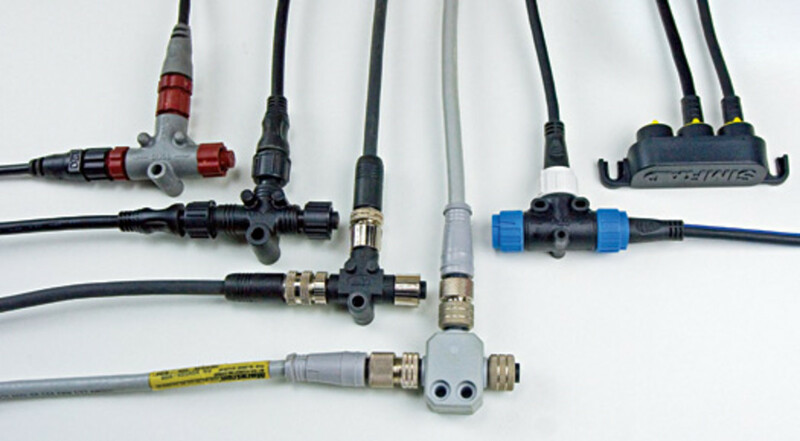 However, in the real world we can choose between cabling from Molex and Maretron that&apos;s actually certified by NMEA to meet those specs; uncertified clones from Lowrance, Garmin, and Airmar; and the custom designs developed by Simrad and Raymarine. This is where the lab shines. I&apos;ve not only tried all those cable systems, but mixed them up in ways a responsible installer wouldn&apos;t dream of. It turns out that, in a sense, the cable type doesn&apos;t much matter; the wires inside look and act nearly the same. Quilt a network with sections by every brand, and the data and power still get where they&apos;re supposed to go. 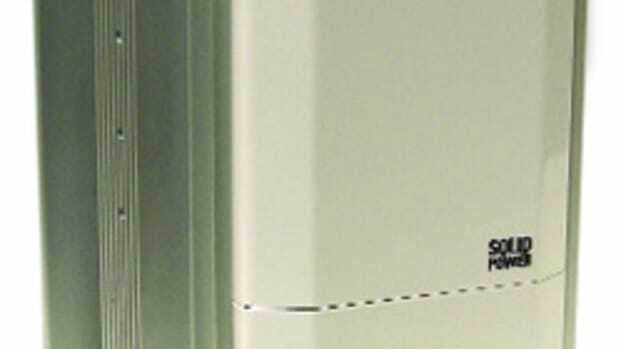 SimNet and SeaTalkNG can integrate with standard cabling either via patch cables or by chopping off their unique connectors and using a standard field-attachable fitting. Simrad and Raymarine N2K devices don&apos;t seem to know or care if they&apos;re running on their own proprietary backbones or the standard variety. And while it&apos;s regrettable how SimNet and SeaTalkNG have confused consumers, I&apos;ve come to appreciate their positive qualities. SimNet is exceptionally slim and flexible. SeaTalkNG can&apos;t be improperly installed by even the dimmest bulb on a production boatshop floor, and its color coding forever documents a vessel&apos;s backbone and drop architecture. But the lab is not a yacht. There&apos;s no radar or SSB radio spewing RF, and the data cables aren&apos;t bundled with all sorts of other electrical conductors. And I&apos;ve experienced some of the EMI-induced NMEA 0183 oddities—like having an autopilot go wacky when the SSB is keyed—that made 2000&apos;s creators especially cautious. So while I think smaller-boat do-it-yourselfers can use whatever N2K cabling comes along (and mix it up, too), much more care should be taken on a bigger boat. Of course it&apos;s reasonable to go with SimNet or SeaTalkNG if the overall system is essentially mono brand, but even in those cases I&apos;d personally go with a NMEA-certified choice. 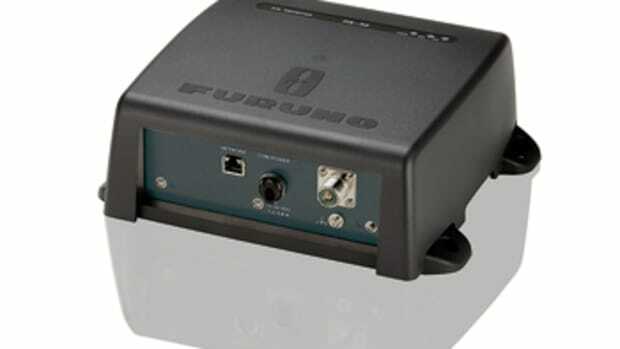 The specs, based on industrial DeviceNet, are awesome; the costs are similar; many more installation doodads like right-angle connectors are available; and going standard means greater future flexibility. 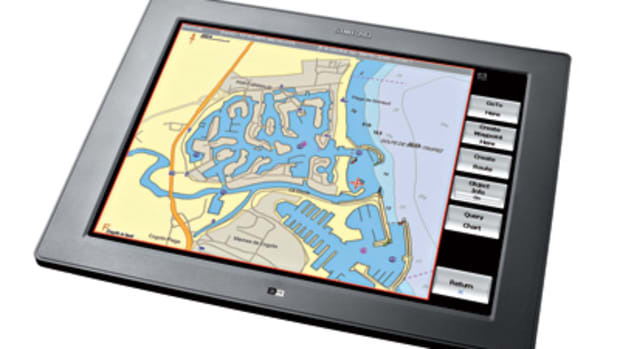 Lowrance multifunction displays are particularly adept at revealing the details of an NMEA network and showing the network&apos;s data in various customizable ways. If testing taught me that N2K messages flow well over whatever cabling you run, EMI aside, it also revealed some devilish data details. The standard is well stocked with tightly defined messages, called PGNs (Parameter Group Numbers), and more are being developed, but not every device on a network understands what every other device is saying. 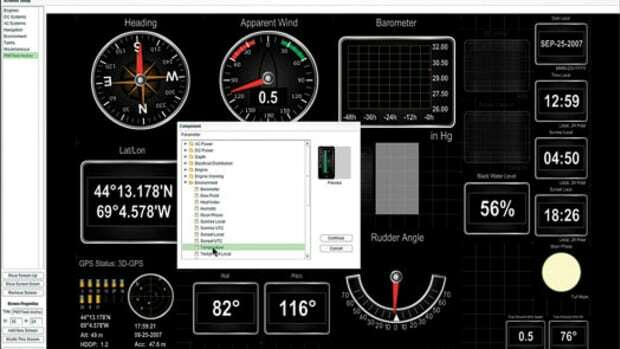 For instance, at the moment only the Simrad IS20 Graphic and Raymarine E-120 understand and hence can display the rudder angle being sent by the Maretron sensor, even though everything&apos;s receiving the same PGN. Most manufacturers now list PGNs sent and received in their N2K product brochures, and if they don&apos;t, you need to ask why. I used that "at the moment" qualifier because an important feature of 2000 is that the network can be used to update devices, even transducers. However, I&apos;ll need the Raymarine E-120, and its card slot, to update the ST70 when rudder angle is added—promised soon to go along with the new SPX autopilots. Ditto the network&apos;s Garmin 5212 and GMI 10, which is impressive but needs lots more software development, and I can&apos;t update the Simrad instruments unless I borrow a copacetic display. Another same-brand "gotcha" applies to sensor calibration. 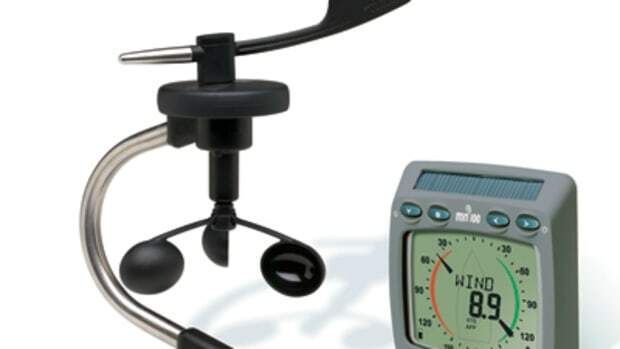 Every instrument and display on the test network can show wind info from either its Raymarine vane-and-cup whirligig or its Maretron ultrasonic weather station. Incidentally, that&apos;s eight different screens from four manufacturers, plus all the PC charting programs able to pick it up via the Maretron gateway, altogether a testament to N2K data sharing. But setting each sensor&apos;s offset—i.e., correct for any bow misalignment, which may just be a one-time adjustment—requires a related Raymarine or Maretron display. Some NMEA 2000 users, perhaps overly expectant about its all-is-one nature, are upset to encounter this kink in their mix-and-match plans. But let&apos;s not forget the near past, when every sensor was married to a dedicated instrument with limited data-sharing abilities. 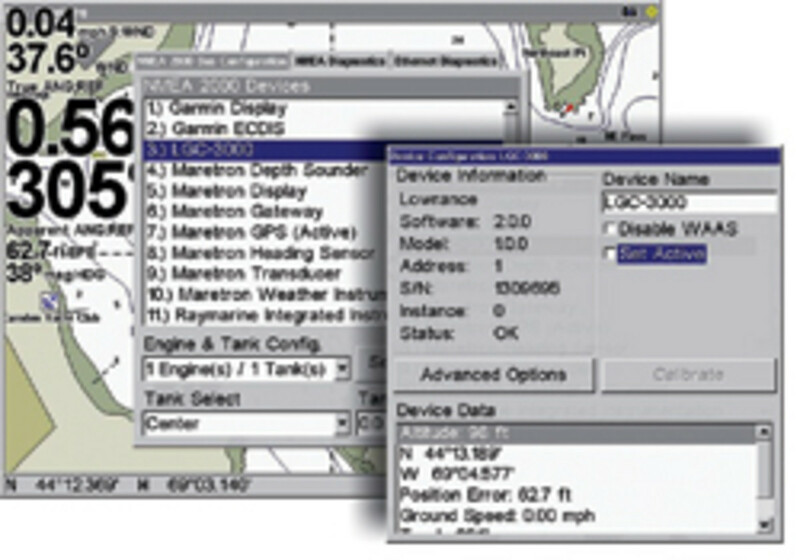 Plus there are some optional calibration routines possible in NMEA 2000—the GMI 10, for instance, can set the keel offset on the Maretron depth transducer—and they will no doubt become more common. 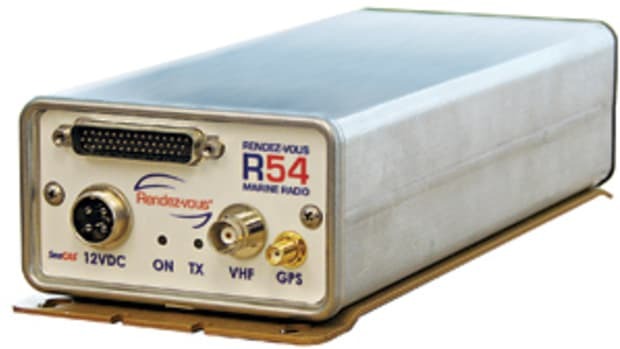 As for the updating issue, Raymarine, for one, is working on a USB dongle gadget able to flash ST70 gear on boats without its displays. The safest N2K mixed network arguably uses a maximum of certified cabling and factory-made drops to SeaTalkNG and SimNet devices. Let&apos;s go back to those dual wind sensors and the various ways N2K devices handle such redundancy. So far every display I&apos;ve tested can at least fail over, meaning it will use whichever sensor it sees first, but if that PGN source poops out (or I unplug it), it looks for another. That alone is a significant N2K bonus, and mind you I&apos;ve also tried it with the GPS and heading data so important to those intriguing MFD screens you may wish I was writing about. And it gets better. Given two or more GPS sensors, a Lowrance display will look at the accuracy values each generates and pick the best, or you can pick a favorite. The Simrad and Garmin gear I&apos;m testing can also be set up with preferred sources. So? If, say, your beamy powercat has port and starboard depth transducers, you may be able to gunkhole with simultaneous port and starboard depth displays. These are the sort of valuable subtleties that are possible with NMEA 2000 but that vary amongst brands and even amongst same brand devices. Another is bridging. That&apos;s the ability to translate data from elsewhere onto the N2K network, a particularly useful feature if you&apos;re evolving a system toward 2000. Many displays, for instance, will bridge out the data coming from an attached NMEA 0183 GPS and depth/speed/temp smart sensor. But while the new Garmin GMI 10 has an 0183 port and can display such data, it doesn&apos;t bridge it. 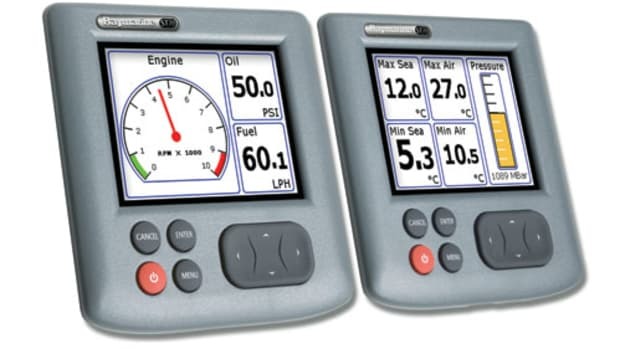 Meanwhile, Raymarine&apos;s ST70 system is designed to work with existing ST60 instruments and even older SeaTalk sensors, bridging everything onto STng. Enough already? Ready your page-flipping finger, seeing as you&apos;re now hopefully aware that 2008 is the ironic year of NMEA 2000. The standard has much to offer, including the ability to do more gear mixing than the product brochures ever illustrate, and to add N2K to existing systems. I&apos;ll keep searching for the nitty gritty here at the lab—out on the water soon, too—all available in yet more lurid detail at my blog. This article originally appeared in the June 2008 issue of Power & Motoryacht magazine. Here Comes Class B, Part 2!